A fire broke out at Good Life Senior Residences on North Sheridan Road Saturday. 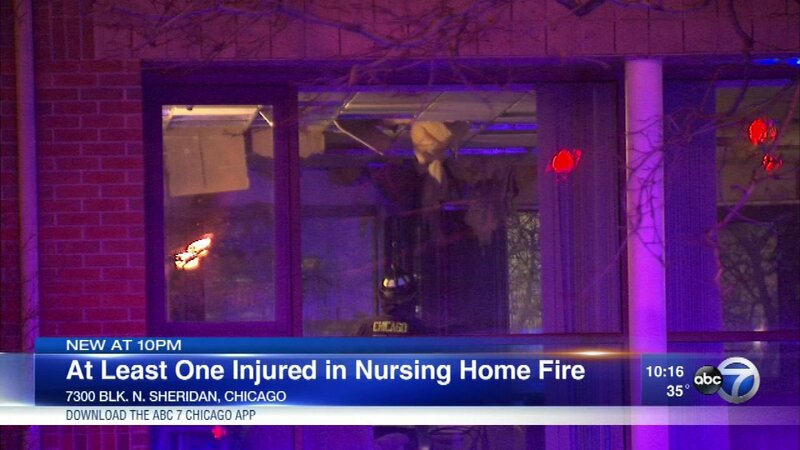 CHICAGO (WLS) -- One person was injured when a fire broke out at a nursing home Saturday. Fire crews responded to Good Life Senior Residences on North Sheridan Road. Officials said the fire was contained to one apartment. The building's sprinkler system extinguished the flames.